Help us meet a 1:1 match! In one of the nation’s poorest cities kids now have the opportunity of being active, losing weight, eating healthy, and building confidence through mentorship! Help us keep this amazing program going! The YWCA of Syracuse and Onondaga County Inc. has teamed up with the U.S. Soccer Foundation to offer the Foundation’s Soccer for Success after-school mentoring program in Syracuse. Soccer for Success (SfS), is a highly‐effective mentoring afterschool program designed to eliminate childhood obesity, promote healthy lifestyles, and provide mentorship for youth in underserved communities. The program serves elementary and middle school youth (ages 5 to 13) serving more than 100,000 youth in 180 communities across the United States each year. Locally, we have served over 500 youth since January 2017. Since its launch, SfS has emerged as a national model in sports‐based youth development. SfS contains five key elements that promote healthy development for youth: Physical Activity, Nutrition Education, Mentorship, Family Engagement and Safe Spaces. Kids attend SfS after school two to three times a week throughout the academic year. Participants learn about eating right and other ways to stay healthy, and they gain important decision‐making and relationship skills from their interactions with coach‐mentors and peers. The program's coaches are also mentors. 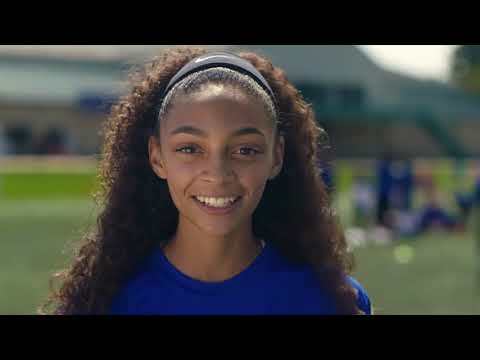 They teach kids the fundamentals of soccer, but also strive to help children build confidence and recognize the value of hard work, teamwork, and persistence in achieving personal goals. By learning what it takes to play a team sport, kids are also being prepared to be productive citizens. The lessons SfS teaches don’t stop on the field. We also strive to engage families and communities by hosting local tournaments and events to educate parents and guardians about how to embrace an active and healthy lifestyle and nurture their child’s personal growth. Youth who have participated in SfS Syracuse have seen dramatic health benefits – in the Spring 2017 season, 100% of overweight or obese youth improved or curbed an unhealthy BMI trend through their participation in SfS, and 58% improved or maintained their aerobic capacity. The socio-emotional benefits to youth are also evident: 67% believe they avoid fighting because of SfS, 67% believe they have better peer-to-peer relationships, and 70% of participants report feeling better about themselves because of their participation in SfS. After only one season of participation in the program, these results are remarkable. Help us reach our goal of serving 500 kids annually!